This popular Italian sauce is incredibly versatile and so easy to make – you really have no excuse not to try it! As the name suggests, pesto comes from Genova, which is in northern Italy. The word pesto itself is derived from ‘pestare’, which means to crush, or to pound. Pesto used to be most commonly made with a mortar and pestle – as you can imagine this takes a lot longer than simply whizzing everything together in a food processor, but there is no denying that the traditional method will reward you with an immensely gratifying tasting experience. 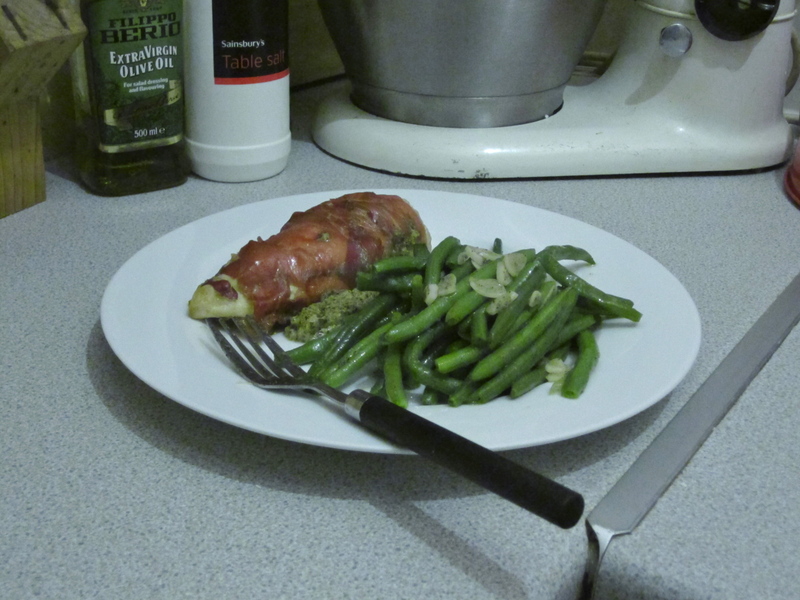 Now, since pesto is so quick and easy to make, I could have simply made the sauce and then used it straight away in a meal, but I decided not to do that for one very good reason. I don’t want to limit your imagination as to what you can do with this little sauce of wonders. Arguably, pesto works best simply stirred into pasta, but it’s a great ingredient for any chicken dishes, and even works as a spread. If you require different flavours for your recipe, simply alter the pesto – add a few sundried tomatoes to make red pesto, or change the cheese for a slightly different take on it. I have used pecorino in my recipe as I find the strong flavours of this cheese work best with pesto, but you can use parmiggiano or any other hard cheese. There is a tendency for home made pesto to be slightly more liquid than the ones you can buy in the supermarket – this is because most bought pestos rely on cashew nuts to give the sauce the right consistency. You can counter this by adding more pine nuts to the recipe, but always make sure that all the flavours have their own space. Also, do make sure that you only add just enough olive oil to make a paste – you don’t want your ingredients to swim in it!